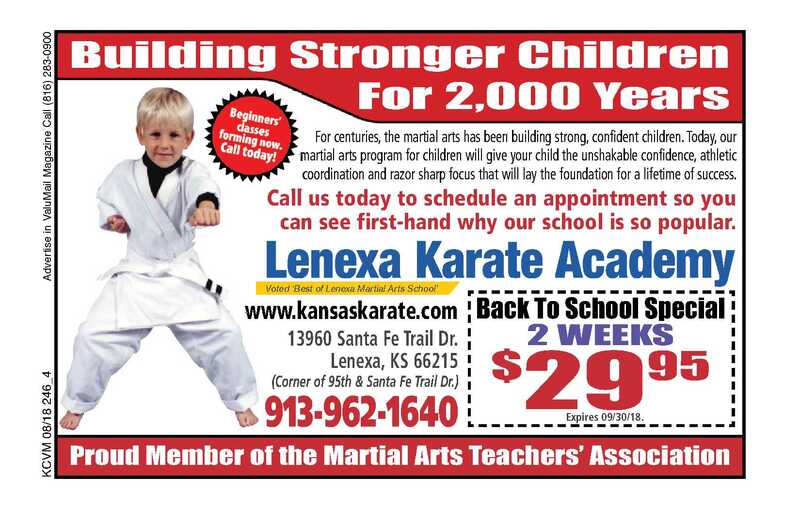 Thank you for your interest in Lenexa Karate, you have been emailed a confirmation. Please call us at 913-962-1640 if you have any questions or need to reschedule your appointment. Monthly tuition begins after the two week 2 week trial period. Our tuition is $115 for individuals and the family membership includes the entire family and is very affordable at $205. You do not have to sign an extended agreement with us. All programs are paid monthly and tuition is billed automatically. .You can choose to pay with credit card or automatic withdrawal from your checking account, whatever is most convenient for you. If you need to stop your tuition, a 30 day notice is required. There are no additional costs on enrollment. We do not have registration fees or contracts. Welcome aboard. You're going to have a great time.